Augustus Funeral Home regrets to announce the passing of Clayton Eugene Outerbridge. 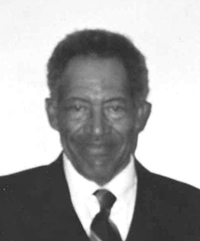 A Home Going service for Clayton Eugene Outerbridge, son of the late Ollie and Carrie Outerbridge, brother to the late Quinton, Webster [Thelma], Oliver, Thelma Outerbridge and June Outerbridge-Lee, in his 91st year of 6 Harlem Heights, Hamilton Parish will be held at Holy Trinity Church Today, March 21, 2019 at 1:00 pm. Interment will follow the service at Holy Trinity Cemetery. Relatives and friends may pay their last respects at Holy Trinity Church, Hall, Today, March 21, 2019 from 12:00 pm – 12:50 pm. Lovingly remembered by nieces: Jeneil Lee, Timeco Britmer; nephew and godson: Kim A. Lee [Angle], Wayne Robinson, Troy, Shaun and Denton Brimmer; special friends: Kenny Trott, Andre ‘Burger’ and Danika Tucker, Mr and Mrs Margaret and Roger Steel; numerous relatives and friends throughout the Island and Abroad.